Observation - Bonnet Fungus - UK and Ireland. 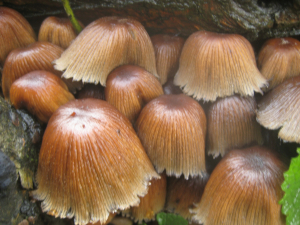 Description: Small brown/copper coloured fungus found in a hollow of a tree stump. Small brown/copper coloured fungus found in a hollow of a tree stump.